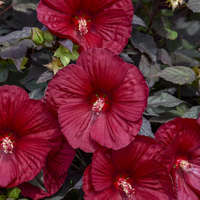 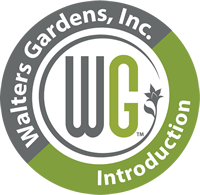 Hibiscus 'Berry Awesome' PP27936 CPBR5647 | Walters Gardens, Inc.
Make your neighbors envious with a statement plant like SUMMERIFIC® ‘Berry Awesome’ - a Hibiscus hardy to zone 4! 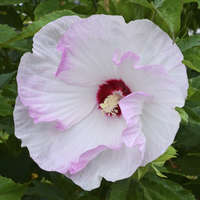 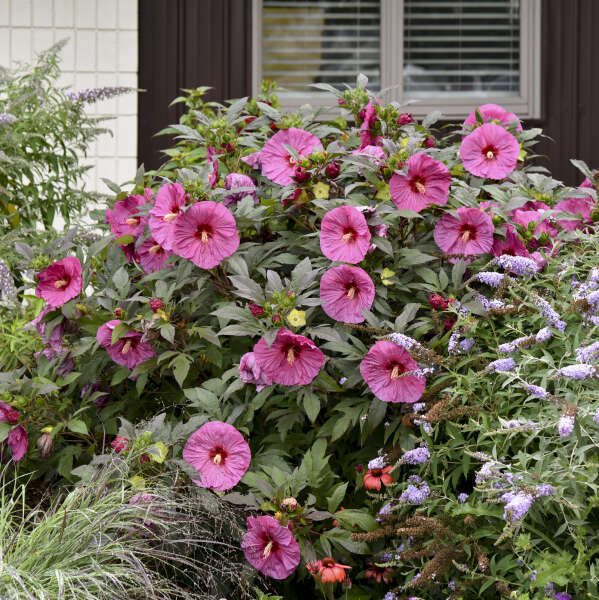 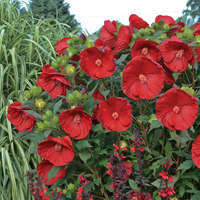 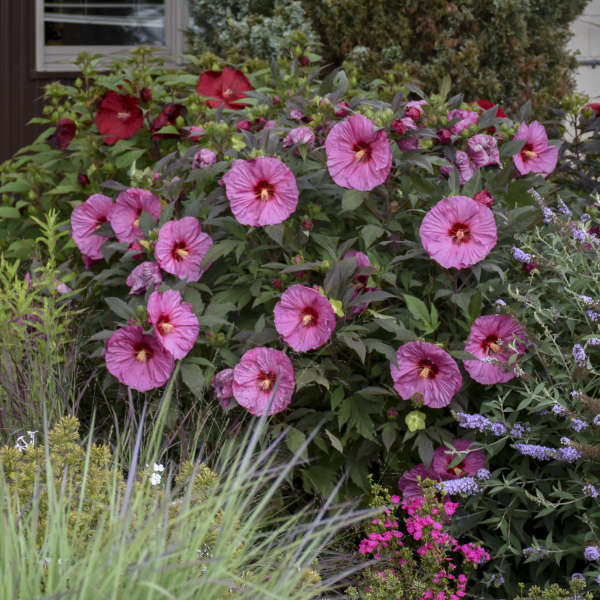 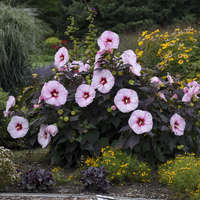 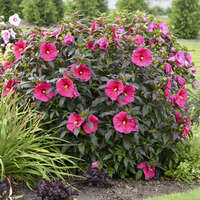 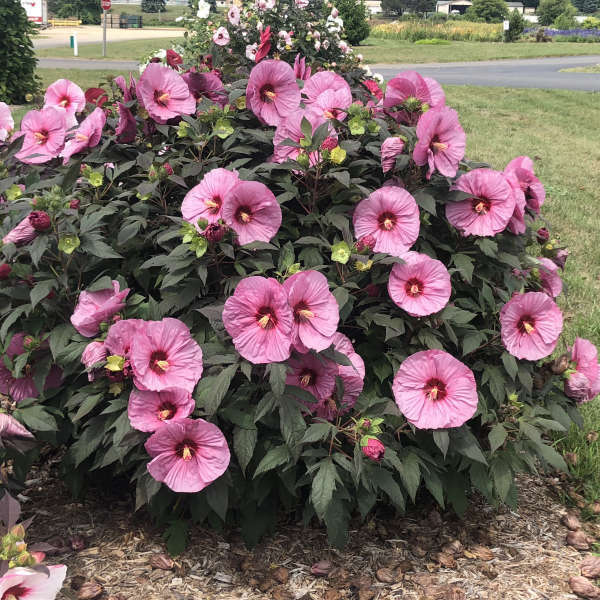 This plant gets nicknamed “dinner plate Hibiscus” because the flowers on this plant are huge - 7-8” wide. 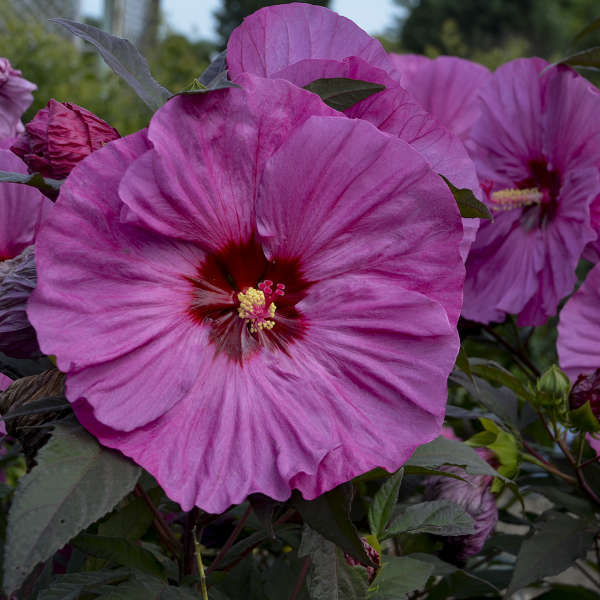 ‘Berry Awesome’ has lavender pink flowers and red eye, with contrasting deep midnight green foliage. 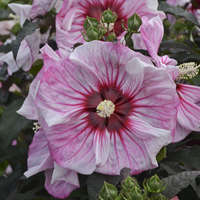 Flowers are produced from the top to the bottom of the plant, rather than just at the top like some other cultivars. 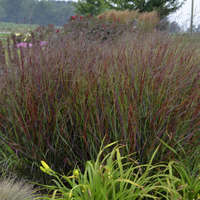 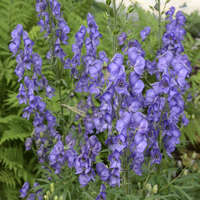 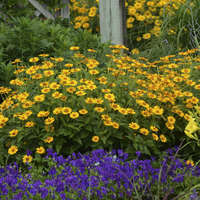 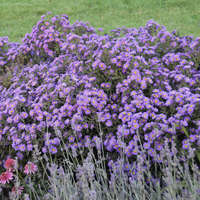 The foliage forms the perfect habit and will be ready to show off from late summer into early fall. 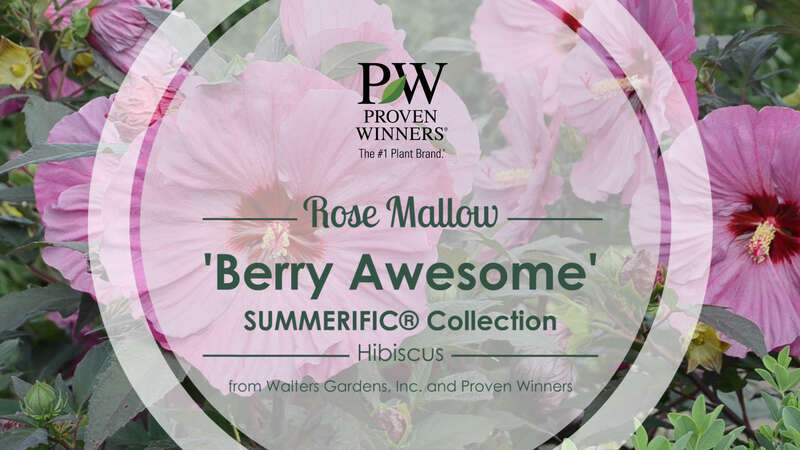 ‘Berry Awesome’ is the perfect backdrop or centerpiece for sunny borders. 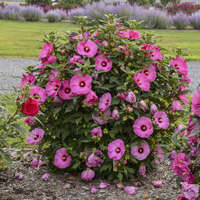 Use it in place of a shrub in your garden.